"It felt like I’d been given a second chance..."
I had an upbringing that was so comfortable it verged on the ridiculous, the village I grew up in once memorably described by a friend as “the real-life version of Dibley” (it was in the Suffolk countryside and my house was opposite the local church; he wasn’t far wrong). However, I still developed an anxiety disorder in my mid-teens. It was never properly diagnosed but that was really the least of my worries. It started as an over-active, pessimistic imagination, picturing the worst possible thing that could happen in any given situation. These disaster scenarios often involved acute embarrassment, an emotion felt particularly strongly at such an age. Before too long, these thought patterns caused worry so great that I’d be physically sick in any distinctly nerve-wracking position. One of the areas where my condition was particularly frustrating was when it came to seeing live music. Whilst my schoolfriends were making pilgrimages to Reading every August for the festival, I stayed home, apprehensive of what I might encounter were I to actually make the journey. I queued outside London Arena for two hours so I could stand at the front for a Red Hot Chili Peppers show, only to start panicking within ten minutes of entering the venue, eventually watching the entire set from the seats at the back. I saw The Darkness at the height of their fame but stood rigidly still the whole time they were on stage, occasionally with my eyes closed for minutes at a time, visualising a more calming situation. I saw Feeder play the Ipswich Regent, but only after vomiting in a nearby car park before the doors opened. Being me wasn’t much fun. University, and the independence that went with it, seemed like sink or swim, and I was lucky enough that it proved a positive turning point in my life. I can still be quick to say no to invitations, and I remain hesitant when it comes to anything my mind perceives as risky but, for the most part, I’m fortunate enough to be largely unaffected. Despite this, I’ve never been a prolific gig-goer. It’s too easy for me to picture the huge crowds, the lack of obvious escape route and the inconvenience of the journey home, and just not bother going. Not ideal behaviour for a music journalist. 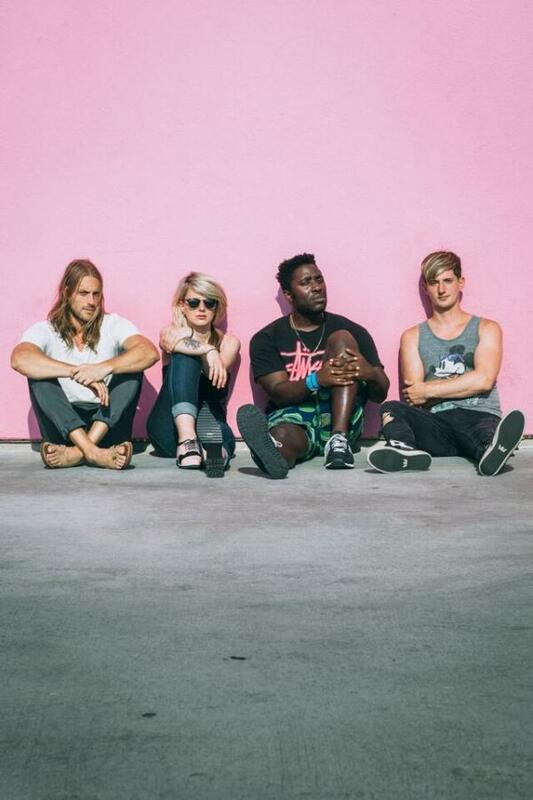 In 2018, Bloc Party announced they were touring their debut record, 'Silent Alarm', an album that meant a lot to me when I was eighteen. I fell in love with the frenetic energy, the vitality of the arrangements and the romanticism of the lyrics. Matt Tong’s drumming had such intensity it was difficult to believe it was the work of just one man, and I adored Kele Okereke’s vocals, his addictive yelp telling tales of loving and losing, of defiance and doubt, and of a disappointment that comes from reaching an age where you realise the world is imperfect and chaotic. A friend and I made plans to attend, and tickets were purchased. As I left the house that Friday night, my friend texted to say there’d been a family emergency, and he wasn’t going to be able to come to the gig. After responding to his message to send my best wishes, I thought about what to do next. True to form, my first instinct was to wonder whether I should just bail, buy a couple of tins and spend an evening in front of Netflix. But I overrode my defeatist attitude and set out to see the show. Have you ever been to a gig by yourself? Standing in the middle of the crowd waiting for the band to appear onstage, you soon become very lonely. You’re suddenly very aware that everyone else is there for a fun night out with their friends, and you feel incredibly conspicuous standing by yourself. Clearly none of that really matters when the music starts, but the beginning of the show still felt like an out-of-body experience. The crowd and I were hearing the same songs but whereas they were able to get lost in the moment, I remained hyper-aware of my lack of company, not to mention the fact I found myself a lot nearer the stage than I’d intended to be. But gradually, the memory of how those songs used to make me feel came back, and I started to become part of the communal experience. This wasn’t just a band playing songs that people liked, this was an opportunity to have the years melt away and for it to be 2005 again, if just for a couple of hours. For most people there it was heady nostalgia and a revisiting of their youth. For me, it was an opportunity to have an experience I never got to have first time around. You know the big tunes on 'Silent Alarm' and you know they absolutely bang. Bloc Party played the entire album in reverse order, and by the time they got to 'Banquet', I was more in the moment than I’d ever been at a gig. I danced, I pogoed, I shoved, I raised my hands in the air and I sang like I didn’t have a care in the world. As the song reached its climax, I screamed, “I’m on fire!” repeatedly at the top of my lungs and, on a Friday night soaked in sweat and beer, I truly believed I was. It felt like I’d been given a second chance, and the story of 'Silent Alarm' and me finally got the ending I never thought it would.